The story is laid out in a series of acts along the lines of the Hero's Journey: the characters travel to a new world (actual or metaphorical), face antagonists, gain allies, and neutralize the antagonists. During the final acts, a high bad karma relative to good karma gets you more bad karma, and if your bad karma ends up higher than your good karma, you remain exiled in the new world. 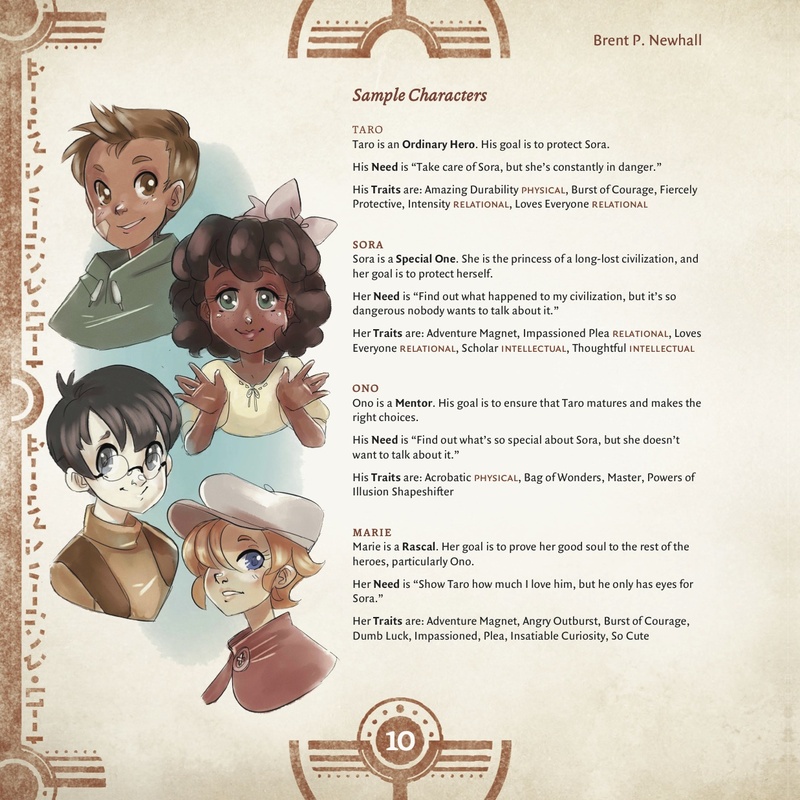 For more information on the game, including an example of a character and play, visit the official website. 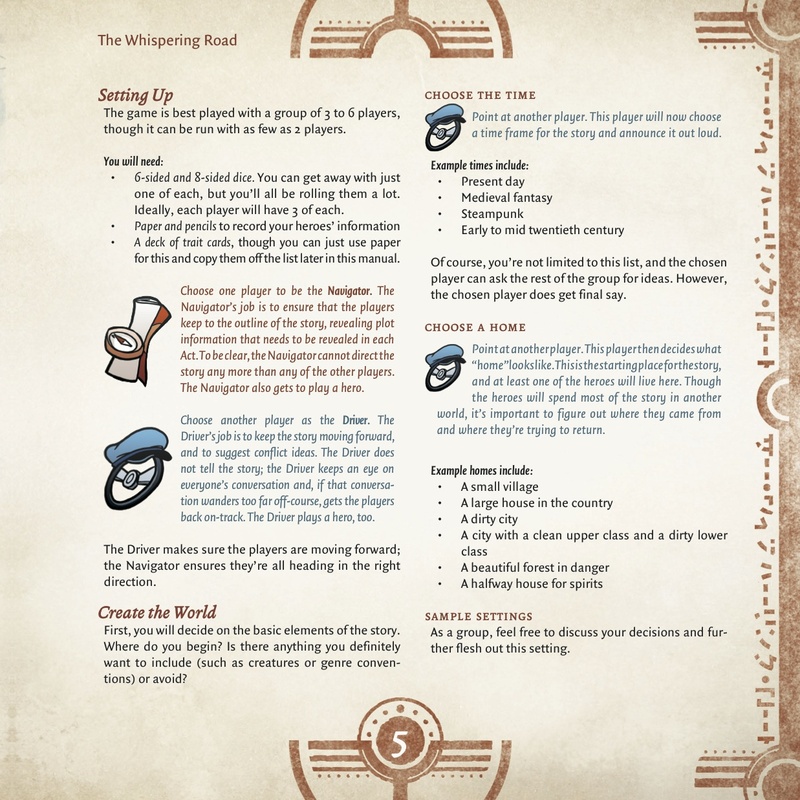 The Whispering Road is released under a Creative Commons Attribution-ShareAlike license (CC BY-SA 3.0).